Happy Wednesday! I took a little unexpected break from crafting and blogging since the Thanksgiving weekend, but I'm back today with a reminder post for All That Scraps Challenge! This is week two of our popular ANYTHING GOES theme! 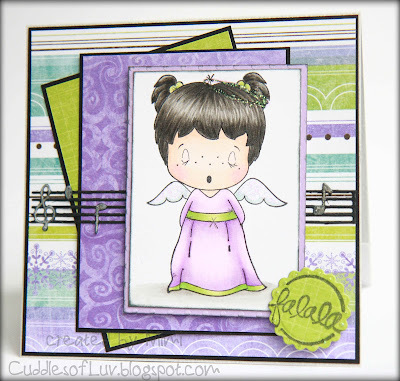 Today I have Sugarplum Emma and the Music Border die, both from the CC Designs October release. Followed a sketch from Papertake Weekly, and papers are from Bo Bunny's Winter Joy. 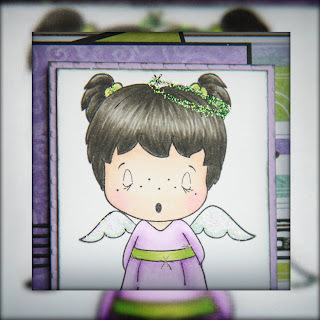 Sentiment stamp is from Studio G, and cut with a Spellbinders Eyelet Circles die. Head on over to the ATS Challenge blog to see more inspiration from my team mates. 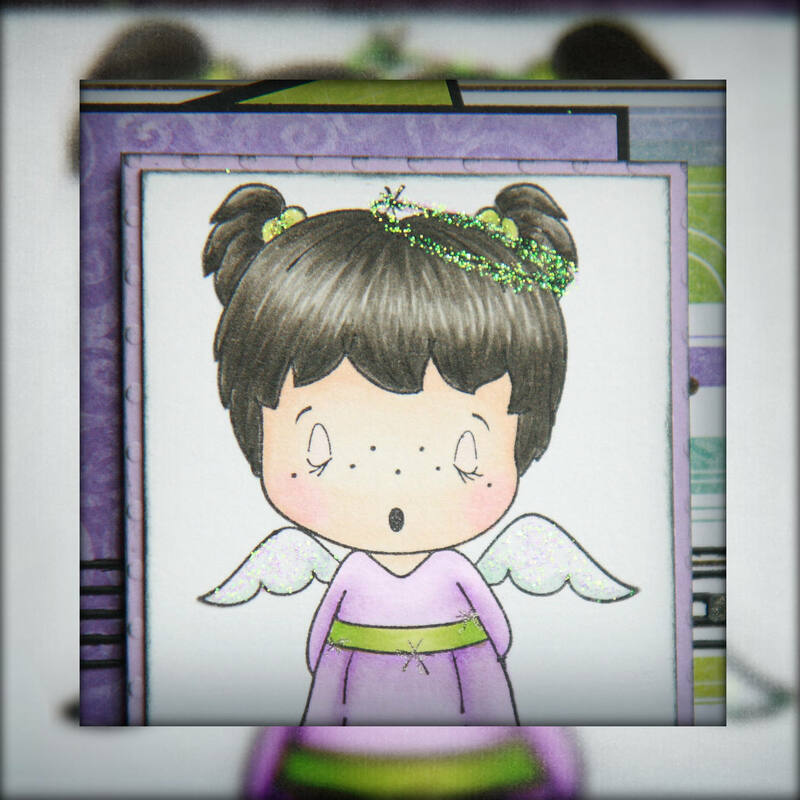 You have until Dec. 4th, and the prize this time is 5 CC Design DIGI stamps!! and don't forget your project must include a stamp from the ATS store. 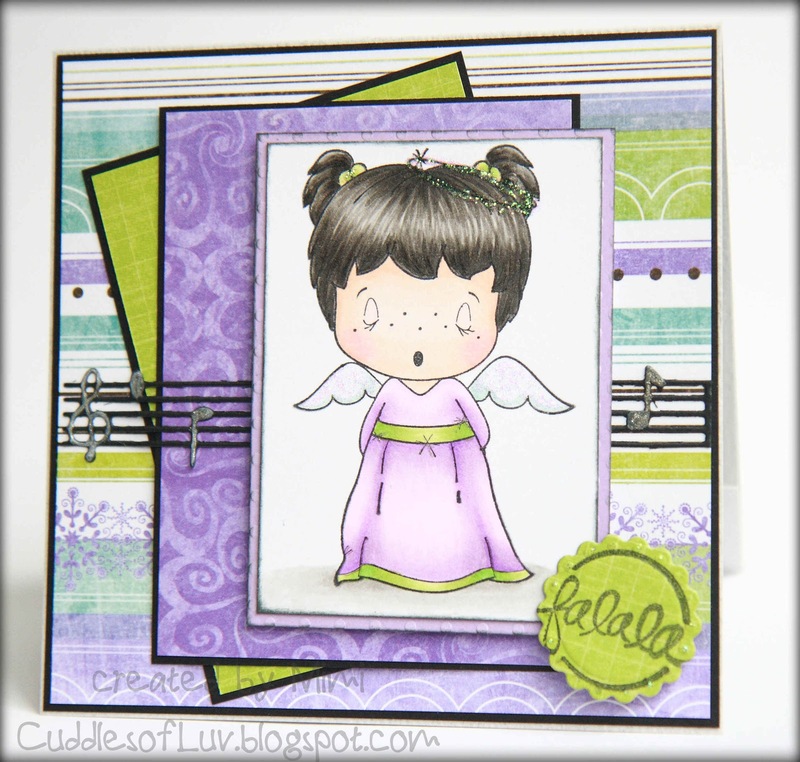 A fabulous card Mimi, your colour scheme is gorgeous and your little CC design image is adorable. I love your fabulous details!! Hi there, your card is so adorable with that sparkly halo. Very sweet! Love the colors and your coloring too! Have a great weekend! Super sweet image and I just love how you've colored her hair! Thanks for joining us at the CMC Copic Challenge.